Construction professionals and keen home handymen will get the most from the Bosch GLM 40 Laser Measure. With the latest Bosch laser technology, you are able to be more productive and more profitable measuring with greater accuracy and precision on a job site. The unit also has a fully backlit screen for easy visibility in dark areas and works to an extreme accuracy of within +/-1/16"
The Bosch GLM 40 stores up to 10 measurements to improve productivity. This means you do not need a calculator to work out area or volume at all. 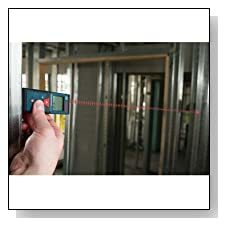 Bosch have given a greater range to what was already a top selling laser measure. 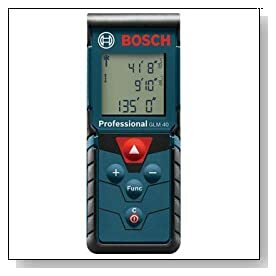 The Bosch GLM 40 Laser Measure is an essential tool for many construction trades and a great option for home users who will find uses for it.